With the holidays upon us, many people are finding themselves stocking up on spirits and cocktail fixings to host their friends and loved ones over for holiday parties. A huge trend in entertaining and party decor is bar cart styling, a way of taking a small table or area in your home and creating a one stop location for everything you need to have a spirited night. 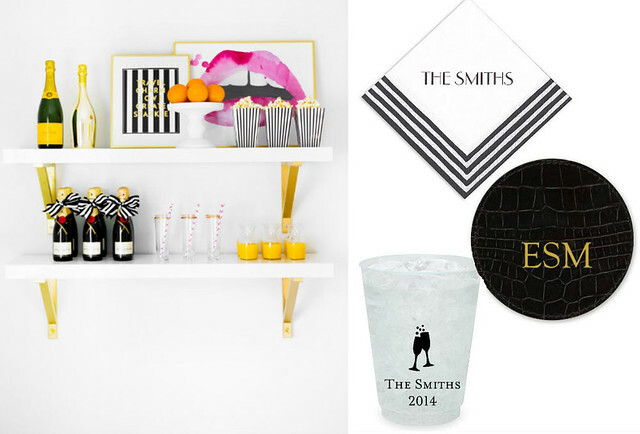 We took inspiration from these bar cart styles we loved on Pinterest and used our products to add even more flare to their style. Enjoy! Gold is seeing a huge comeback after it's related color rose gold has hit the scene. Gold is great for every occasion and holiday and can be used for decorating time after time. 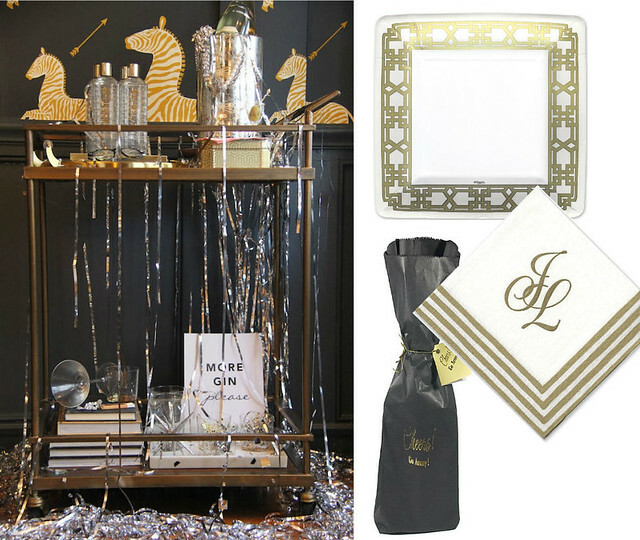 We love the glitzy and glamorous feel of this bar cart for a New Year's Eve party! 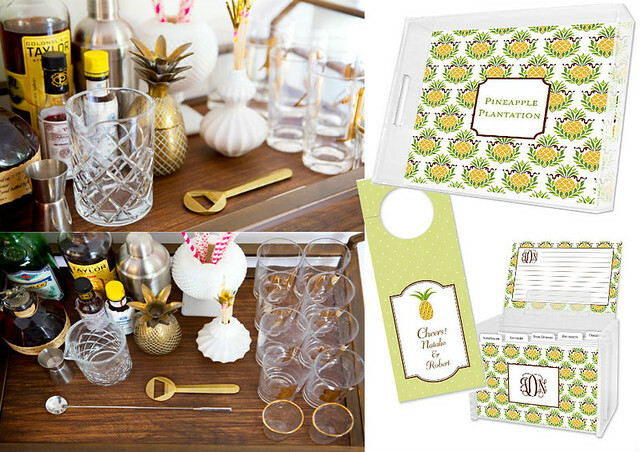 The last bar cart has a very vintage feel with the use of the symbolic pineapple. Pineapples are a symbol for hospitality, so it's a great focal point for any home decor additions. We added a few key items for entertaining guests, such as a serving tray for passing out drinks or appetizers, wine tags for parting favors, and recipe cards for favorite drink or food recipes to always keep on hand! How do you style your spirits & drinkware? Let us know in the comments below!